I just got back home to Michigan from California in my new 914. 2942 miles, 10 states, in 4 days! The car ran great the whole way home. I have to admit the car was more comfortable than I expected for this long of a drive. The biggest problem was the noise. The targa top design doesn't allow for a really good seal to keep out the wind at 80 mph. All in all, though, a comfortable ride. Thanks to Brad Roberts for his generous hospitality and assistance in obtaining the car. Thanks to Dave Darling, and Mike Mueller for looking at the car for me before I came out. Buying a car "sight unseen" was a leap of faith for me. The car was exactly as it was described. 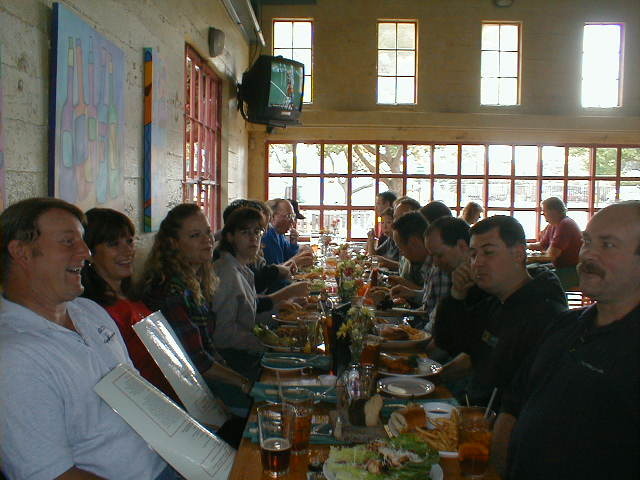 Thanks to the members of Roadglue who made me feel welcome at the Tied House lunch. congradulations on your trip I meet you and brad last friday at brads shop. Thats a very nice low milage 914. I enjoyed the tour thru the shops. thanks brad We enjoyed a week in the napa valley with great weather and lots of wine tasting it is a great place to visit. Nice score, Good job B. Keep'em coming east. I love driving that trip. I'm going again somehow in the spring. Fun trip Huh? A friend bought a car in LA abd we had a great time bringing it back to Boston. I would love to make that trip again only next time I'll take a little longer and enjoy more of the drive and see more people along the way. To solve the roof problem, take it off! At 102 in Iowa, all you hear is the woosh of the wind. Enjoy your new toy and keep driving. PS [SWOT], why are people so affraid of driving these cars long distances. If two (that I know) did about 3000 miles in unknown cars, why can't more people do these drives in KNOWN cars? Ahhh, much better! Nice car! Dave, I have driven about 3 hours straight in mine and thats my limit. It is just too uncomfortable because when I get out I am really stiff. Need to get new seats or rebuild these. If I drove 3000 miles in mine, I would be sore for a week! While I am driving though, its a great car. It just cruises along wanting to go faster and faster. I agree with Dave McL. If you think about it. It's only the distance of an oil change. If a car is running reasonably well simply ask yourself if the car will make it to it's next oil change. With a few spare parts and a list of friends across the country the trip should be fine. I bring my Think Pad as a tool. I bet if a guy needed a hand and posted a message here we could assemble a resque team in a half a day or so. AS you can imagine, I have full faith in the 914 to deliver me anywhere. 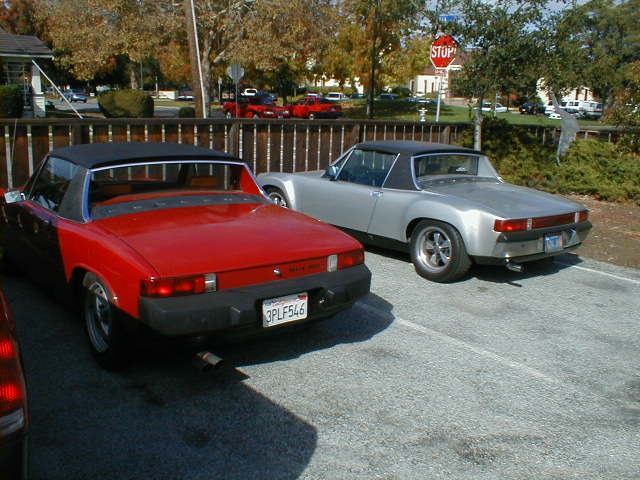 I was scared to take my first 914 on long drives until just before I sold it. 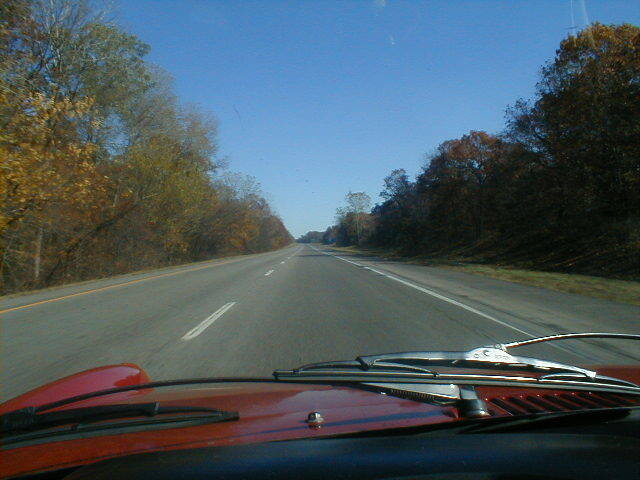 In my last few months of ownership of that car I began to go on some long cruises. I then realised that my fears were ungrounded. I only sold it in order to get a nicer specimen. It was very solid mechanically. I regret all the trips I could (should) have taken in the car while I owned it You can bet this one will see lots of cruising miles. I've driven 2 914's from the Bay Area to Denver (1300 miles or so, one way). With the exception of the wind noise, I found that a 914 is quite a comfortable long distance tourer. The 1.7 got 44 MPG while it was at it. When I bought the 70 in September it was a 1200 mile trip home(mapquest says its 1200, but I always thought it was more like 1500-1700) 30 .5 hrs @ 60mph= 1830. Speedo broke 1/2 way home, so not sure. I took all the items that you guys were kind enough to suggest that I should take with me (75lbs tool box as checked baggage). Not knowing the condition of the car I had a game plan.......I would drive it as far as it would go and if something went wrong I would have it towed to a garage in the closest town where ever it quit or some place I could leave it for a few days. Then take a bus to the closest airport, fly home, get my truck & dolly, drive back. Load the car and continue home. Needless to say no problems all the way home. Besides driving thru the mountains, the best part of the trip was pulling into small towns for fuel and having the attendents scratch their heads looking for the gas cap and then doing a double take when I poped open the trunk to get something out of the back......favorite line "where's the engine?" I bought these cars to drive and have fun. If they break, fix them. If I can't fix it there, tow it and fix it at home. Life's too short not to enjoy it when you can. Last edited by GWN7; 11-16-2002 at 06:38 PM..
Get the weenie tires and wheels off of it..and then send us some pics. Glad the trip went well Tom.